Just in! 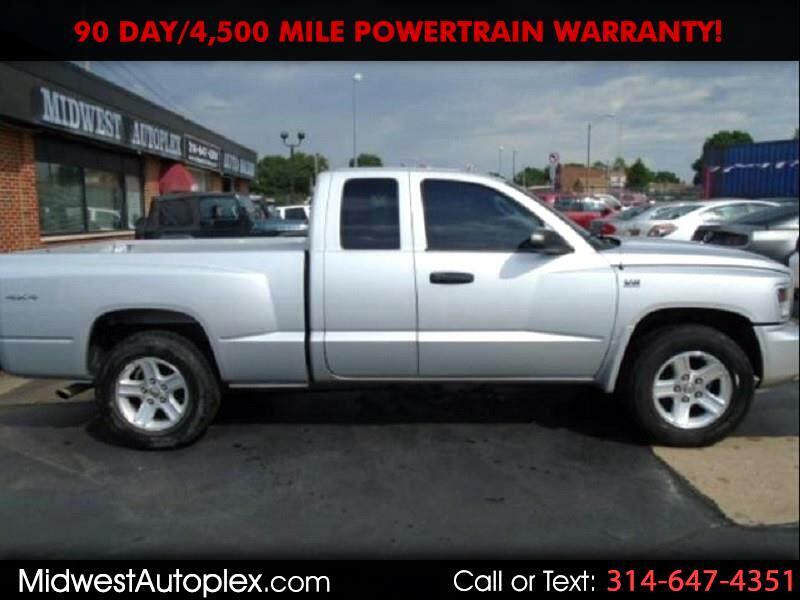 Check out our newest addition, this awesome 2011 Dodge Dakota Ext Club Cab Bighorn 4x4 is full of features you'll love. WOW SPECTACULAR!! IMPRESSIVE 2 OWNER CARFAX CERTIFIED BUYBACK GUARANTEED! Kelly Blue Book values Suggested Retail Price $14,869….PRICED TO SELL THIS WEEKEND!! FREE WARRANTY!! SXT Bighorn 4.7L V8 Flex Fuel, 6-Speed Automatic, 4WD, MAINTENANCE RECORDS, Fresh Oil and Transmission Fluid Change, Aux input, Pwr Everything, CD, Alloys, RUST FREE TRUCK, GOOD MATCHING TIRES, ALL ORIGINAL, VERY CLEAN! CREAM PUFF!! CRUISE CONTROL, POWER Everything, ABS, 65% Tire Treads, Non-smoker, Safety and Emissions Inspected, Mostly Carfax Clean! Just e-mail us for a FREE copy. EASY No Haggle Price! A+ rated by Better Business Bureau. Our Clients are extremely important to us and it shows. Financing Available (W.A.C.) at 5.75%. Try $230 per month with NO MONEY DOWN.